Tandemvines Media | Crafting transformative narratives in multiple formats. Specializing in editorial consulting, narrative product development, book design, editing and writing. We lead organizations, authors and artists in producing visually compelling narratives in books and other formats. Current work in progress: A digital book telling the organizational story of the Pike Place Market. Tandemvines Media’s Denise Clifton writes on diverse topics ranging from her book on historic San Francisco restaurants, TABLES FROM THE RUBBLE, to magazine stories on food and travel – to news analysis on some of the hot political issues of the day. Our award-winning design and art direction shines in the visual storytelling experiences we craft for our clients in digital and print books. 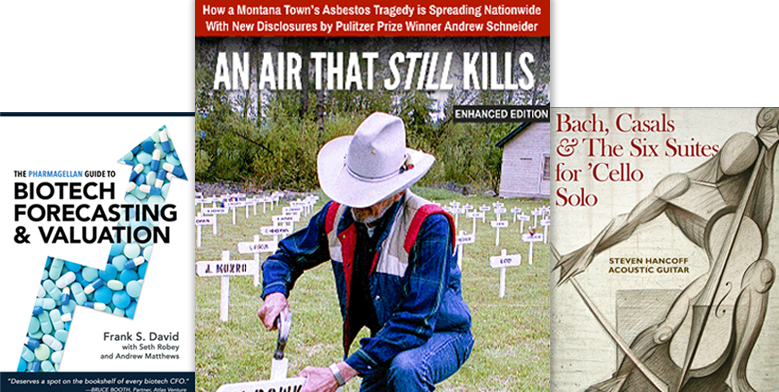 An Air That Still Kills, by two-time Pulitzer Prize winner Andrew Schneider and investigative journalist David McCumber, was honored by the iBooks Author Conference as the 2016 iBook of the Year. The book also received honors in non-fiction and science categories.